The human body can accomplish amazing feats. Stay in motion for 17 hours to complete an Ironman. Create a human being and innately understand without practice how to give birth to it. Defy odds and heal without a known cure. Unfortunately, just as it can surprise us, it can defy us. Yesterday, my body betrayed me in a way I never imagined. The race started off pretty great. Everything leading up to the day was perfectly executed and my legs felt fresh on race morning. The weather forecast was nearly ideal with a temperature in the low 50s at the start and projected high 50s at the finish with low winds. I made it to the start line with a near perfect training cycle behind me, loads of confidence and a fit, healthy body that I knew could get me 26.2 miles in 3:35 or less. I started right ahead of the 3:30 pace group but didn’t have an intention of actually running with them, at least not to start. However, once we started going and my legs felt really good, my breathing light, I kept my word and raced easy, just as planned. It just so happened that my easy also was just about the same pace as the 3:30 pace group (who I believe go trapped back behind the crowd and had a slow first mile) and by mile 2 or 3, I was running right with them. I didn’t listen to music at the start was and simply enjoying eavesdropping on conversations around me. Breathing was easy, legs were light. I closed out the first 5 miles at an average pace of 7:59, which I knew was a bit aggressive BUT given the course profile (100 feet of loss in those first miles, although these are quite a few rolling hills) and the fact that I thought I could possibly run closer to 3:30, I went with it. 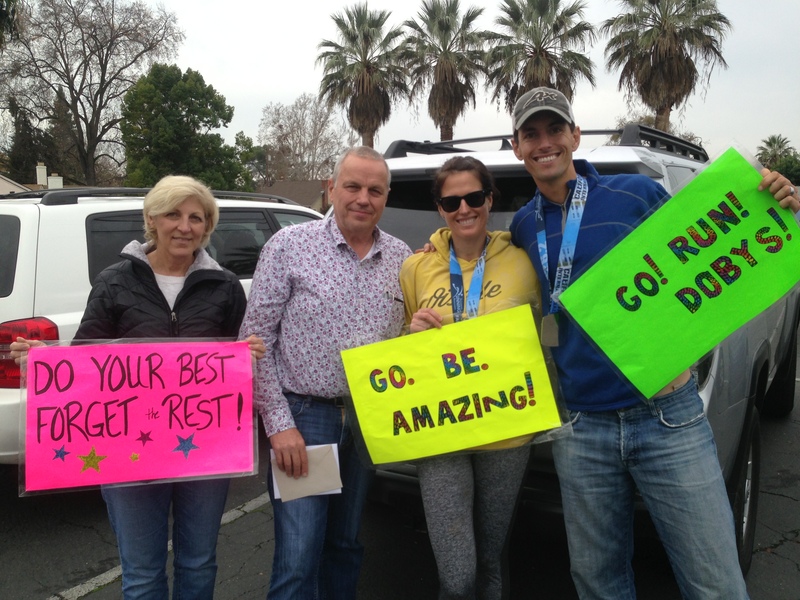 My Dad and Step Mom made it to Sacramento for the race and I saw them with their awesome motivational signs at mile 2 and mile 4 and was amped and feeling great. Around Mile 5, the course gets a bit more hilly, with an equal amount of climbing as descending, and I also had to slow for a water re-fill somewhere so my pace slowed a bit. I let the pace group go ahead, knowing I wanted to run my own race anyway. I slowed in the next 5 miles as we constantly ascended and descended the hills. I hit the 10k mark and thought of those tracking me at home, specifically Asia and Jeremy, and knew they’d be happy that I was ahead of pace. My legs were feeling it a bit by Mile 8, but my breathing was still light. I had one pretty slow mile which felt like a lot of climbing (Garmin data shows it wasn’t much more than any other mile though). There was an aid station on the hill at Mile 8 and I slowed to fill my water bottle which lost me some time. Just as I’d planned, I kept with my feeding schedule of 1 Gu per 35 minutes plus 1 salt pill per hour. I stayed within each mile and was enjoying latching on to smaller groups and then moving on as either they or I surged ahead. 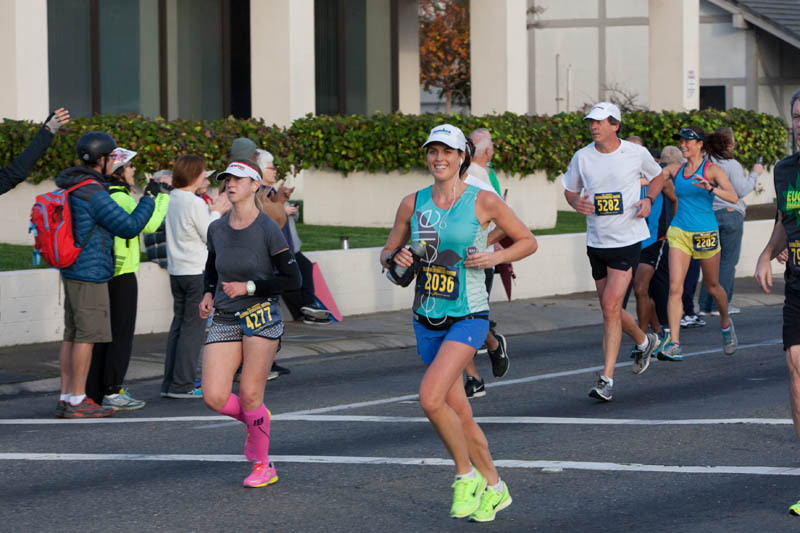 My thoughts were very positive and I remember thinking as I got to mile 10 that I couldn’t believe how much better I felt than at OC and Phoenix, despite running even faster. I kept imagining the BQ bell that we’d seen at the expo that was going to be waiting for me at the finish line. I couldn’t wait to ring it and finally achieve my goal. Around Mile 10 or 11 we passed through Fair Oaks which was jam packed with spectators. This was definitely the best I felt in the race, likely due to the caffeinated Gu I had taken not too much earlier. I was giving high fives, smiling and loving the race. 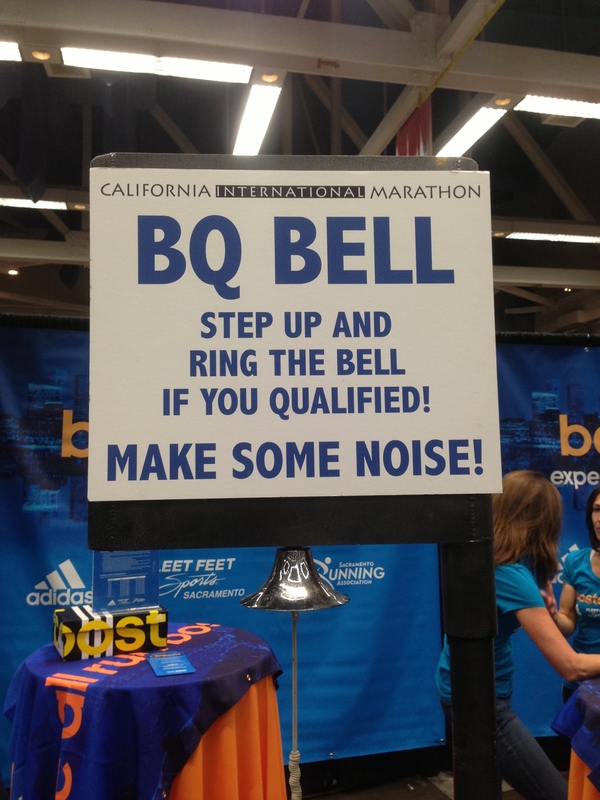 Every time I heard someone ring a cow bell I thought about ringing that BQ bell. The miles just flew by, but my pace definitely slowed a bit. 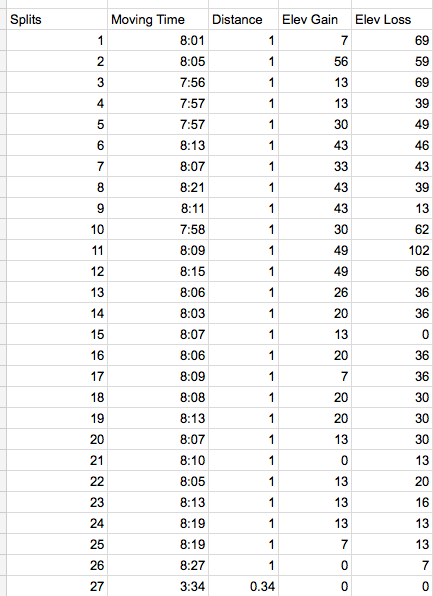 I found myself consistently running 8:05-8:08 splits and my average pace started to creep up. I hit the half marathon mark at 1:46:24 and I knew that Asia would be tracking me and excited because I had said that my goal was to run the half marathon around 1:46 (My Step Mom Denice had told me the day before to imagine Asia running with me and I actually used this tactic quite a few times in the race!). I myself was thrilled because this meant if I maintained this pace I was 4 minutes ahead of 3:35. A nice cushion indeed. The rolling hills continued. Every time we went down, there seemed to be yet another hill to climb up. The miles started to get harder, but I was still keeping each and every one under 8:12. 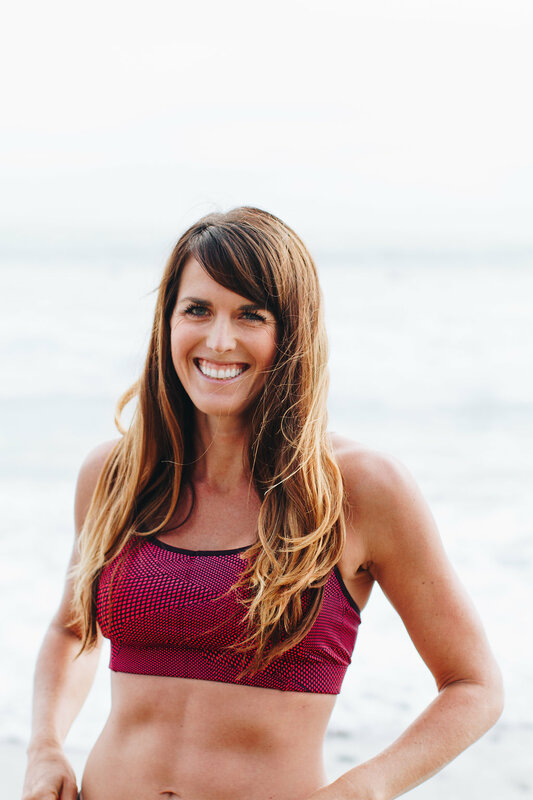 I focused on staying within the mile, repeating my mantras, telling myself it was my day. I couldn’t help but be a little disappointed that although my splits were still under 8:10 it was tough to keep them there. The 3:30 dream was probably not happening but I knew the BQ was mine for the taking. 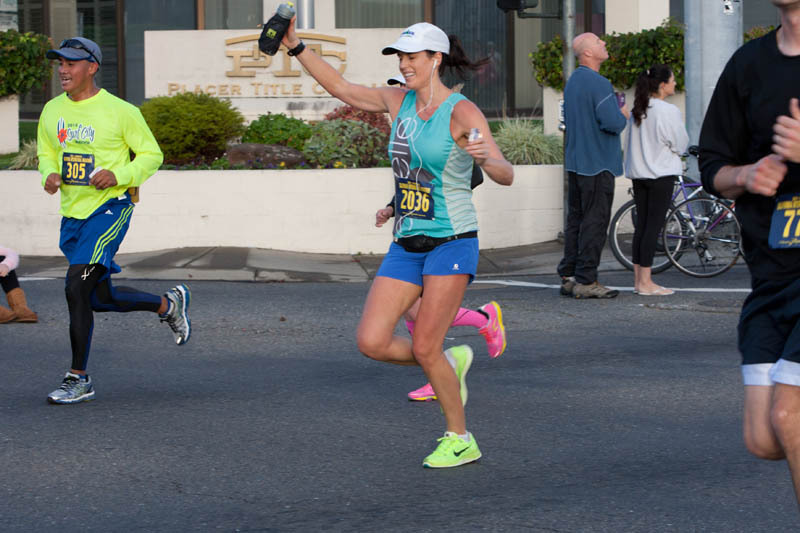 When it hurt, I reminded myself that if marathons were easy, everyone would do them. If qualifying for Boston was easy, everyone would qualify. This wasn’t going to be easy and I knew it. Time to get to work. This is when those long runs with long segments at marathon goal pace really came in handy. When there was 14 miles to go, I reminded myself of my successful long run with 14 miles near goal pace. If I could do it then, I could do it now. Just as forecasted, there was now a slight headwind, so I was trying to draft off people when possible. I kept focusing and marching on. At one point a spectator yelled to me and told me I looked so fresh, like I was on Mile 1. My confidence grew. This is my day. I repeated it to myself over and over throughout the race. Before I knew it, I was at mile 16. I thought of my normal 10 mile route and I really believed that I could do it and that I would not hit the wall. I heard the 3:35 pace group coming up on me because spectators would shout “3:35!! !” and I knew that they were ahead of schedule, so I didn’t let it bother me. I’m not sure exactly when I got enveloped into the group, but once I did, I knew I couldn’t let them out of my sights. I ran toward the front of the group and not too long after I joined, the pace leader said to me, “Do you run ultra marathons?” I said, “No, why?” and he told me that I have a very efficient gait. More confidence boosts. Let’s do this Mr. Pacer. This is my day. Somewhere in here, the cramping started. It started in my right shin and moved around to my foot and calf as the race progressed. I noticed my gait was altered but tried to shake it off. Mile 20 has an arch over the timing mat which is constructed to look like the wall. You literally “run through” the wall. 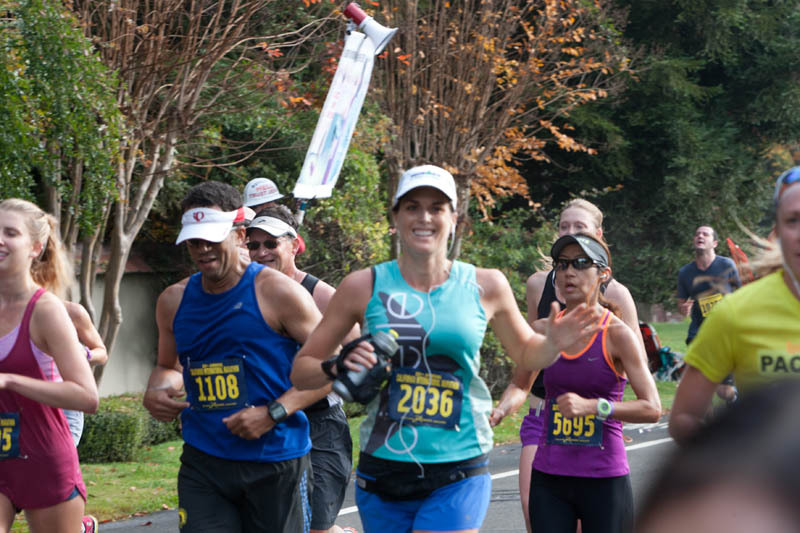 I think this is also where the photographers were set up and as I neared, I pointed to my 3:35 pacer and smiled. My Dad and Step Mom were also right at the Mile 20 marker with their sign now showing “You = BQ” and I nodded and smiled enthusiastically. What wall!? I thought. I had totally forgotten about the cramping during the welcome distraction. Time to get to work, I thought, as the miles got harder. I stopped paying much attention to my watch and just focused on hanging with the group. I wanted to get over the bridge (the last hill before it’s all flat) and get to the numbered streets (they start at 54 or so and the finish line turn is at 8). I was feeling so confident that when we got to the bridge that I said loudly, speaking to the small group of women runners in our 3:35 group, “Ok ladies, let’s do this! 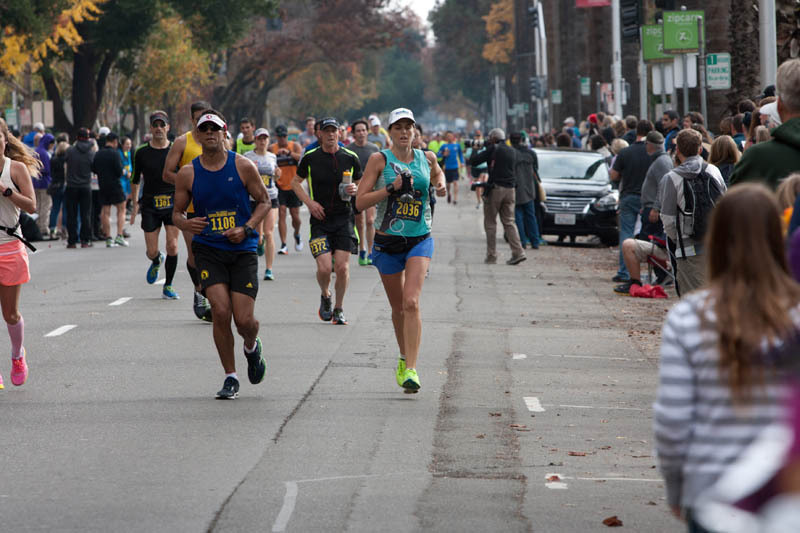 Let’s ring that BQ bell.” They were all so in the zone that no one responded (hah!). I took that as a sign that I was feeling better than them, but I just hoped that it lifted their spirits! I started feeling progressively worse, but not terrible. The cramping got worse and moved up my leg. But, I was still with the group. I was still at this point plotting when I’d break away. I thought I could still bust out a fast final mile. I’m not sure when it happened exactly, but I think it was very near Mile 24 when things got HARD. The pain went from manageable to nearly unbearable. Not just the cramping, but my breathing. My legs felt like bricks were tied to them. It took every ounce of energy to keep going but I did. My pace slowed, but was still under 8:20. The pace group inched ahead slowly but was still in my sights and I knew they were ahead of pace by nearly 2 minutes. The cushion was getting more narrow, but the BQ was still within grasping distance. I kept bribing myself by reminded myself that I only had 20 or 15 or whatever it was, minutes to go and that it would all be worth it. Ring the bell. BQ. Make all the training worth it. Pain is temporary, pride is forever. Don’t give up. Don’t give up. Don’t give up. The pain got worse and worse. By the time I was near Mile 26, I felt like I was in a dream. The pain was surreal and unyielding. I remember wondering if I would faint or puke at the finish line, or both. I saw my Dad on the course and I couldn’t even acknowledge him. I could feel my form going to hell and I tried to correct it, to stay light, a few times but my body kept wanting to go back to whatever felt best. I wanted to be done SO bad but the end was so near. Ring the bell. Ring the bell. I made the left turn onto 8th and then there is another quick left to the finish chute. At this point the males and females separate with the females on the left and males on the right. I was right behind a girl who got confused over where to go, and slowed and faltered a bit, causing me to change my gait to avoid running into her and also to dramatically slow. As I started to go again, my legs started to feel like jello. The finish chute was 50 yards or so and I could see the finish line. The clock still showed 3:34 (and I was a minute behind the gun time at least). 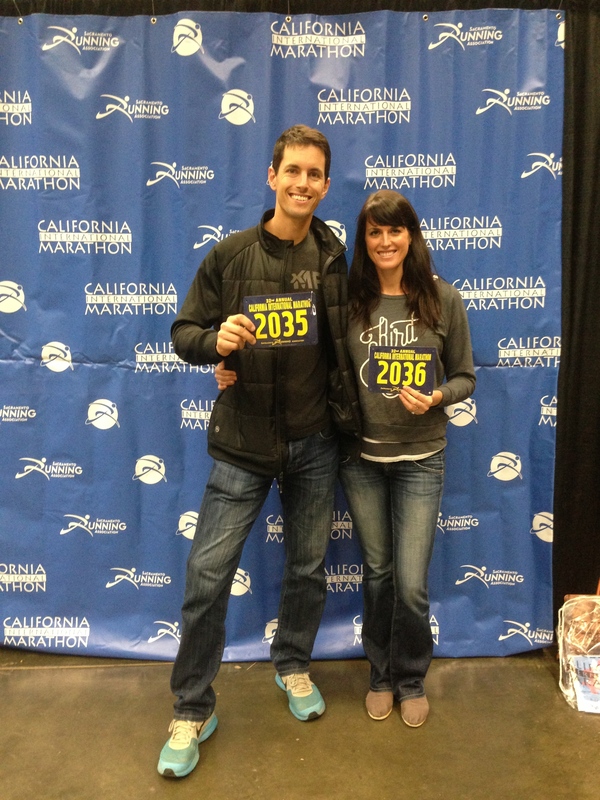 I didn’t know it, but my husband Mike was just beyond the finish line (he also ran and finished in an amazing 3:20!) and was watching me, holding my medal, ready to put it over my neck. And then, I stopped. My body didn’t want to go any more. It had enough. I literally stopped in my tracks and fell to my knees. Mike said he’s never seen anything like it – the way my body moved and fell. I tried to get up, but I couldn’t. My quads literally felt paralyzed. I tried again to no avail I let out a moan and yelled “Nooo.” My face writhed in misery. I knew, then, I had lost it and my heart was literally breaking. During Ironman training, I watched the YouTube Video of Paula Newbie Frasier as she collapsed within yards of the Ironman finish line and lost her first place prize just as she was about to capture it. She lost control of her body and here I was, in the same position. It was probably the most surreal experience of my life. An absolutely wonderful woman who was just behind me stopped and tried to help me. I keep thinking about that woman. I hope I didn’t ruin her BQ dreams too. She moved on after realizing I was a lost cause. Soon two volunteers approached to help me up and then Mike ran over to me and he and one of the volunteers helped walk me across the finish line, but it was too late. The clock had turned and I had lost my chance. I later heard from my family, Mike and Layla who was handing out medals at the finish line, that the whole crowd was rooting for me. They had literally just been announcing that all the women crossing the finish line were Boston Qualifiers and I know that many people must have realized that I was about to achieve the goal only to have it ripped away by my disobedient body. As soon as I crossed the finish line, I was placed into a wheel chair and moved into the medical tent. I held my face in my hands, but didn’t cry. I had the foresight to stop my watch but didn’t learn my actual finish time until later. 3:35:27. Just 27 seconds between me and that BQ. Looking at my Garmin data later, I was not moving for a total of 2 minutes in the final portion of the race, 30 seconds of which was due to the fact that I stopped my watch late. That means that I gave away 1.5 minutes to the clock and my finish time would have been around 3:33:58. Once inside the medical tent, I was swarmed by nurses and being asked questions to make sure I was still with it. They pricked me and checked my blood sugar, which was apparently fine. They moved me to a cot and forced me to eat pretzels and drink Nuun. The thought of Nuun was making me sick since it was the last thing I had in my water bottle, so I told them I would just take another salt pill. All I wanted was plain water – it sounded so good. I felt hot and asked for ice packs which I put on my legs and then on my head. I felt like death. Eventually, I started to feel better. I joked that I was going to be trending on YouTube and that I was like Paula Newby Frasier or Julie Moss. A wonderful volunteer nurse named Amy took care of me and told me jokes (they were pretty good) and nursed me back to health. At one point a series of seemingly endless cramps moved from both feet up my shins and calves and quads and Amy forced me to stretch out my legs and breathe through the excruciating pain. I called my mom and as soon as she picked up I started crying. After I let it out, I started to feel better. I failed – again. But this time it wasn’t my mind, it was my body. I literally gave it my all, and it wasn’t enough. I can try to think of what went wrong, but there’s no point. Every time I think about those moments, and try to imagine why I couldn’t get up or wonder if I had done something slightly different that wouldn’t have caused the collapse or if I had tried crawled to the finish, or had I just had enough time banked that I could have done it despite it all, I just come back to the same answer – what is done is done. I pushed myself to my limits. I gave my best. What else can I ask for? When I wrote my goal post for this marathon I said other than qualifying, I wanted to run a race of proud of and never give up, and that’s what I did. My watch tells me that I ran a 8:11 average including the collapse and that’s a Boston Qualifying time in my mind. I am (almost) at peace with what happened. I might not get a pass to Boston, but I did it. I stayed positive 99% of the race, I pushed through the pain, and I didn’t give up. And that’s something to be proud of. And it’s a damn good story. One Mike and I will probably be telling for the rest of our lives. There was celebrating to be done – 5.5 minute PR and my 5th marathon finish. Mike’s 4th marathon finish! Oh…and COFFEE! So thankful for my Dad and Step Mom for their support! Thank you to everyone who has supported me as I trained and prepared for this race (I read your blog comments, emails, tweets, Instagram posts, etc over and over before the race) and for everyone’s kind words in response to the crazy outcome. Thank you most of all to Mike, my amazing and supportive husband, who knows what to say to make me feel better and whose love is more important to me than any qualifying time. In the words of Eminem…. Til I Collapse. In case are curious, here are my splits. Despite hitting a wall at 24, I barely slowed. I ran a consistent race and I’m proud of that. I’ve been anxiously awaiting this blog post and it did not disappoint. Looking at that photo breaks my heart too because I know how hard you worked (we all do) and I can’t think of ANYONE more deserving of a BQ. You did absolutely everything right. I can’t even imagine the feeling but your eyes tell the whole story in that photograph. It’s powerful. But I have to say — you may have a few seconds hanging onto that 3:35 but this race experience is truly epic. 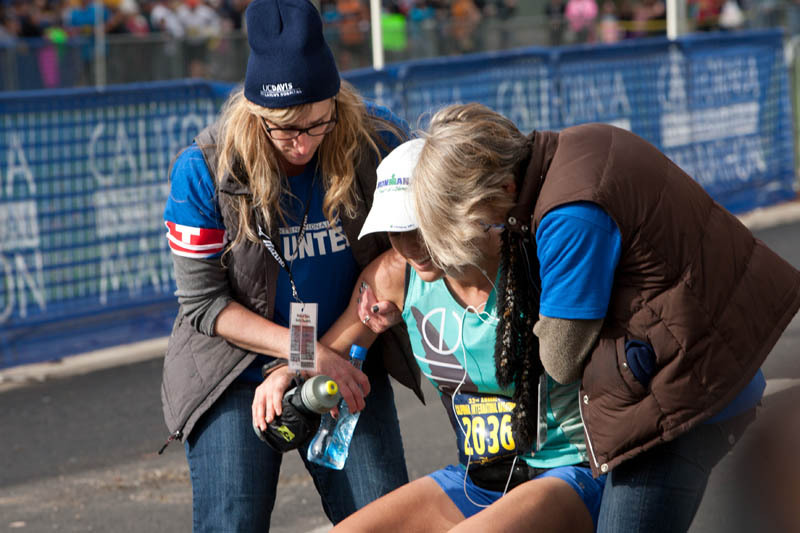 This is the perfect example of what it means to be a passionate endurance athlete with so much heart. THIS story is more inspiring than any BQ story. It truly is. Congratulations on an incredible, hard-fought, gut wrenching race. You are so f*ing inspiring. You are such an inspiration. The official results may not have a BQ next to your name, but you definitely gave a BQ effort and an incredible one at that. Unfortunately, even with all the training and the hard work, some times our bodies and/or minds say no on that ever important race day. You left everything out there, which is truly and amazing feat. I have no doubt in my mind you will get that BQ. You know you’re capable and now it will be that much sweeter when it happens. As heartbreaking as it is to read about how the last 0.2 miles went, it is so clear that you have that BQ in you and that it WILL happen. Emotional post, even more so for a pregnant woman (who is crying) 🙂 That picture absolutely breaks my heart; I can’t imagine how you felt. You ran such an incredible race, Nicole. You ran even splits, you kept your mind focussed, and you did not give up. 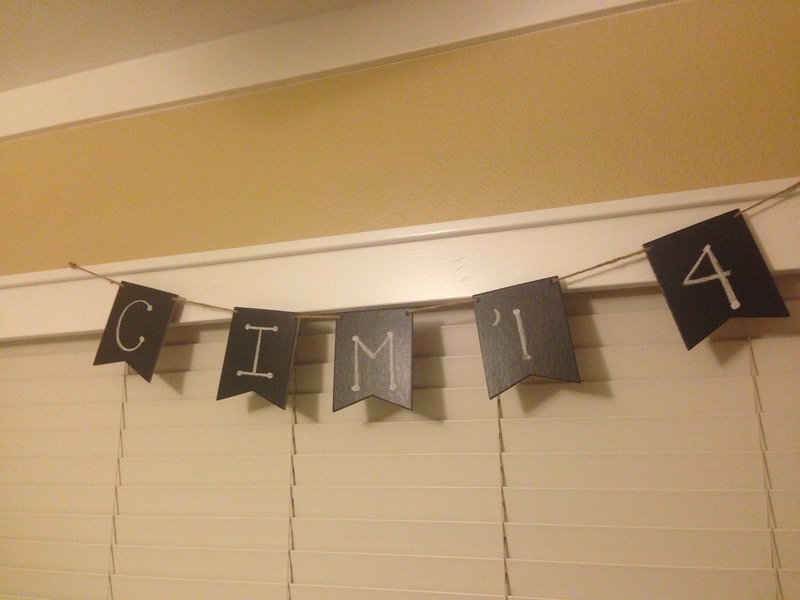 You should be darn proud of CIM ’14! I’m sure every single friend and reader is beyond proud of you. Congratulations on a PR, another marathon finish, and running with all your heart. Now enjoy your trip and take a well-deserved break! Thank you for writing this — so quickly after the experience, and with such honesty and guts (not to mention the details and reflection). The recap broke my heart. It also was a stark reminder of the demands a marathon makes of one’s body, mind, and soul, and the unpredictability of race day. I don’t know you in person yet I’m very proud of you — for gutting it out in this race, and also for the discipline, optimism, and drive you bring to your training on a day-to-day basis. Enjoy your recovery; I look forward to what you do next. I definitely teared up looking at the picture of you on the ground. Recover this week- mentally and physically. Great job!!! Amazing performance! That’s a huge PR! 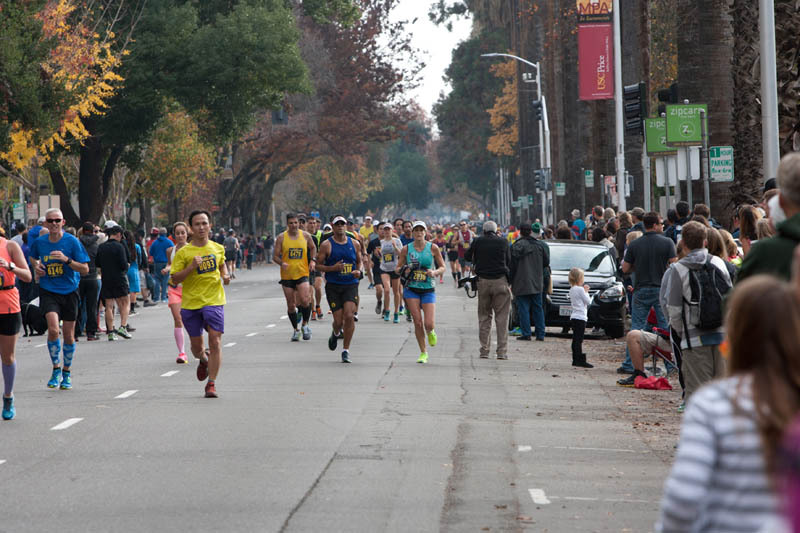 PS, at CIM I was 29 seconds off from a BQ, but had a 3 min PR (I feel u!) My recommendation for your next full- mountains to beach! 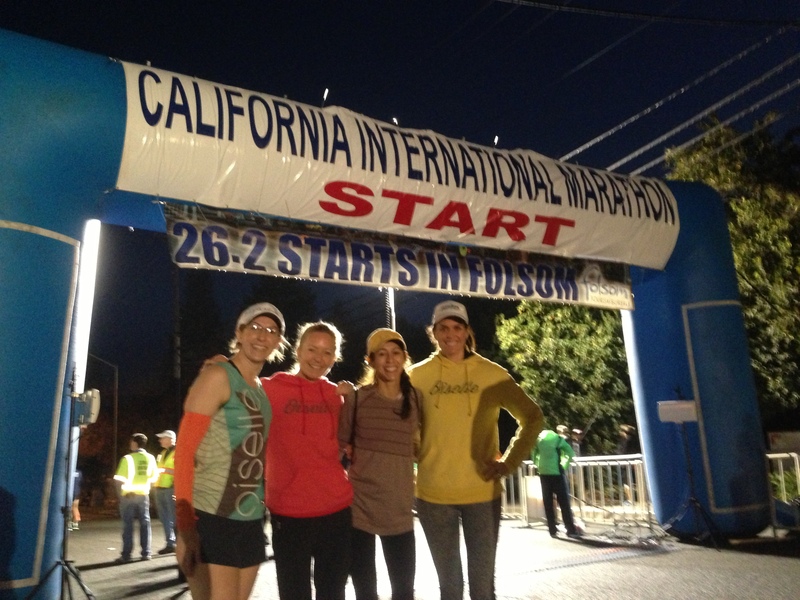 Better course than CIM, gentle bet down hill, and pancake flat. I will be running M2B after Boston. Ur so close, u got it on your next one girl! Congrats n enjoy off season! Oh this is heartbreaking! I was in tears reading it. But I must congratulate you on running an incredibly BRAVE race! Wow, just wow. That was heartbreaking to read. However, I’m glad you are looking at the positive and realizing how strong you were. You pushed through what almost every other person wouldn’t have been able to. That is truly inspiring and certainly worth celebrating. Proud of you. Just finished a 30K at a 9:22 pace and was punked and had to take short walk breaks towards the end. I need to be around 8:55 for a BQ. Will try my second marathon in March if all goes well. I don’t expect to BQ this time because my base is not high enough yet, but will try to finish and beat my first marathon. The 30k had rain the first 3 miles and 100% humidity and was pretty hilly in Rome, Ga. I finished at 2:54:22 by my Garmin time beating last year by about 13 minutes. You are so close I’m sure you can make it soon. Heartbreaking. I almost cried reading this! 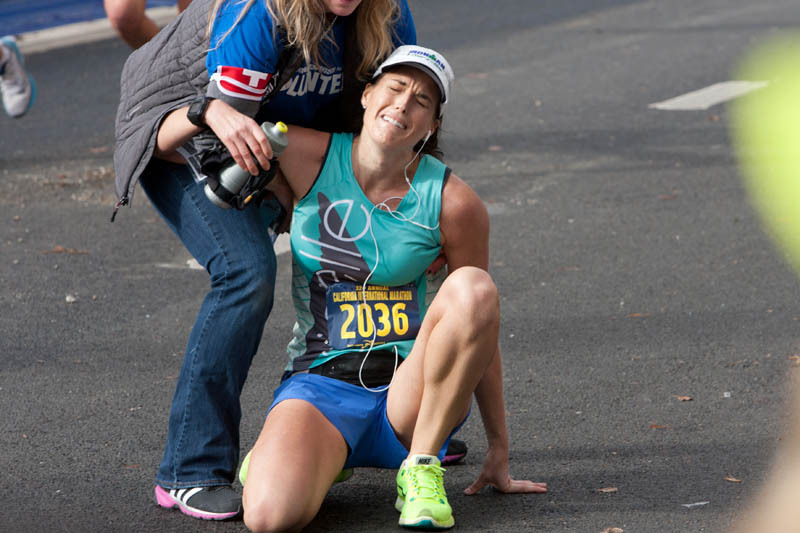 It would sound weird to non-runners, but seeing you collapse actually makes me want a BQ even more. I think part of the BQ process is the fight for it; I also tell many people that “if it was easy, everyone would do it.” It’s not easy (well, except for a few absurdly fast people that make me jokingly hate them). It takes work and determination and a little luck, and the BQ is the reward. No matter how long it takes, the reward will be there, and it will be that much more amazing. I’m so bummed for you, but I’m also glad you didn’t have a serious injury, and that you weren’t the woman in the med tent who I heard was “in and out of consciousness” when I was asking someone if they knew how you were. You’ll fight another day, and you’ll win. AND, congratulations on the PR! This is so inspiring. I was hanging on every word as I read this post. I too have set some goals that I have yet to accomplish with my running. This really motivates me to keep going, do my best and never give up. Thank you for sharing. The phrase that comes immediately to mind with regards to this post is “fall down nine times, get up ten.” (Not that you’ve fallen down 9 times, but you get my drift.) It shows a lot of your character how you react when these bad races happen. We’ve all been there. But, you get up another time and you fight another time. I have zero doubts you’ll BQ and it will all be worth it and you’ll see all the lessons you’ve learned along the way. Until then, you can be a little sorry for yourself for a few days if you want, then you pick yourself up and dust yourself off and hit the ground running. I think you’ve probably already done this but I give you permission to do it again if you need to. 😀 You’re an inspiration. And congrats on the PR, you big stud. It took guts for you to put your goals out there so publicly and you ran the race with guts and heart – the marathon is so all-consuming and can break your heart but you have shown your true character and will bounce back from this to get that elusive BQ, made all the more sweeter by the difficult path you took to get there. Take some time to rest and recuperate and celebrate the PR – you have lots more to look forward to! Tearing up. Like you said, there is nothing more you can do but your best – and that’s what you did. Amazing job, not many people would ever or will ever push to that limit. You’re amazing! 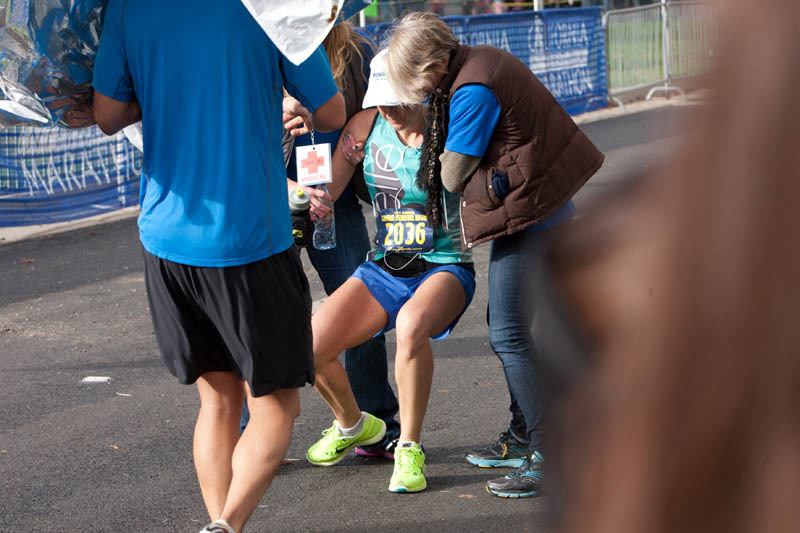 Also, this tugs at my heart strings especially since this exact, literally exact, same thing happened to me at the Tacoma City Marathon…yards from the finish line, within two minutes of 3:35. Let me know if you ever want to chat about it 🙂 Proud of you!! Nicole. This story, those photos, your courage — all proof that you are not only a courageous athlete but a brave and determined person. I can only begin to imagine the feeling, but I have to go back to my dad and the quote that I use time and time again, “It’s not what happens to you, it’s how you handled it.” And you, my friend, handled this like a true champion. I’m so sorry this happened, but I’m proud of you for enduring, experiencing and growing. I found this post after looking at Oiselle results this weekend. 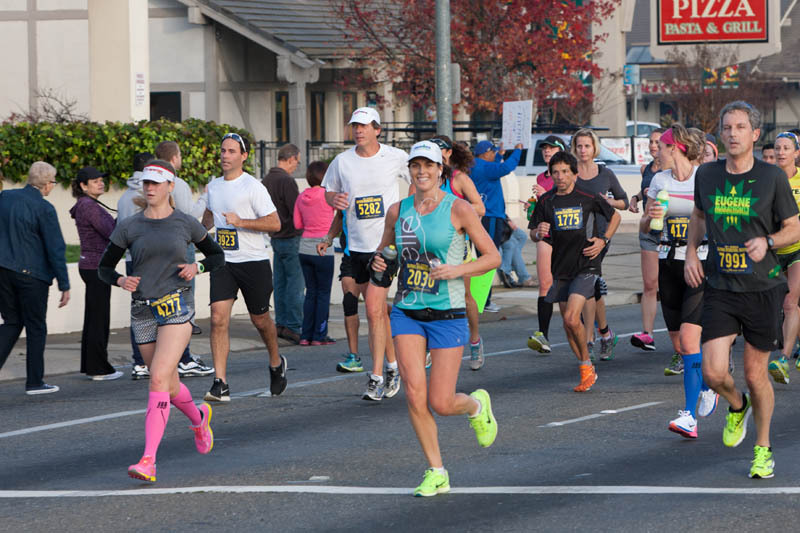 I ran CIM last year and reading your post just took me back there. I’m so heartbroken reading your recap but at the same time, when I got to the end I thought, she’s definitely got this! Enjoy your rest and recovery time and I’ll definitely be cheering for you next time! Go flock! Nicole – I am so proud of you for your accomplishment! I was rooting for you from Missouri and really hoping you would get your BQ goal – I feel heartbroken for you. In my first marathon I missed it by 19 seconds and while I was proud of my accomplishment, deep down, I was SUPER disappointed. That gave me the determination I needed to try again. The next fall, I trained harder and beat it by over 6 minutes! You can do it – don’t give up – never give up. You have a LOT to be proud of and you should be! Wow!!! After I saw your tweet about being like PNF….I knew it had to be so good and bad at the same time!! You dug deep and now you know how it feels so the next go around will be that much better! You have learned the mental part of the BQ. You will go stronger into your next training cycle and next race!! Congrats on such an amazing fight and race!! Hope you enjoy some much needed rest and recovery!! What a PR too!!! Reading your journey and then this recap is absolutely heartbreaking. You have done an amazing job training and working so hard for your BQ, but you gave that race your all. You can never regret your performance that day because you left it all out there, your body, your heart, your everything. Congratulations on your PR! I look forward to seeing what you tackle next. I have been trying to come up with a reply for the past week regarding this post. I just cant think of anything to say that hasn’t already been written or thought of by you! What an enduring post. We’ve got plenty of time before 2016! I say “we” because “we” will be with you every step of the way. Remember, I’m the one that it took 17 tries! It will be yours. It can be yours. Just not sure why this wasn’t the time! New(isn) reader here and I’ve read back through a few of your posts. 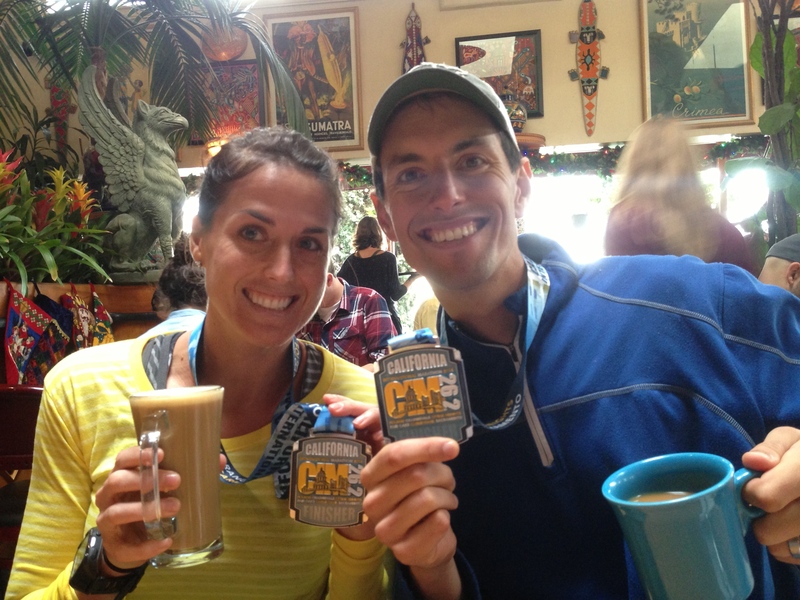 WOW, I got shivers reading your race recap, and especially the ending. Your PR is such a huge thing to celebrate! And you WILL get that BQ. You have so much determination! Nicole, I read this post forever ago on my phone and saved it to come back and comment. First, CONGRATS on a huge PR! You ran a nearly perfect race! I am incredibly impressed with the race you ran and how hard you fought. I know this had to be heartbreaking, but I have loved reading about how proud you were of yourself. Your attitude really is inspiring. I am sure you had some low moments, but you have been so positive and your reflection in your year-end post says it all about how you are taking this and moving forward. This race will be one you can draw from when things get tough in the future and you WILL get your BQ. I am looking forward to hearing about what’s next for you. Enjoy the offseason!